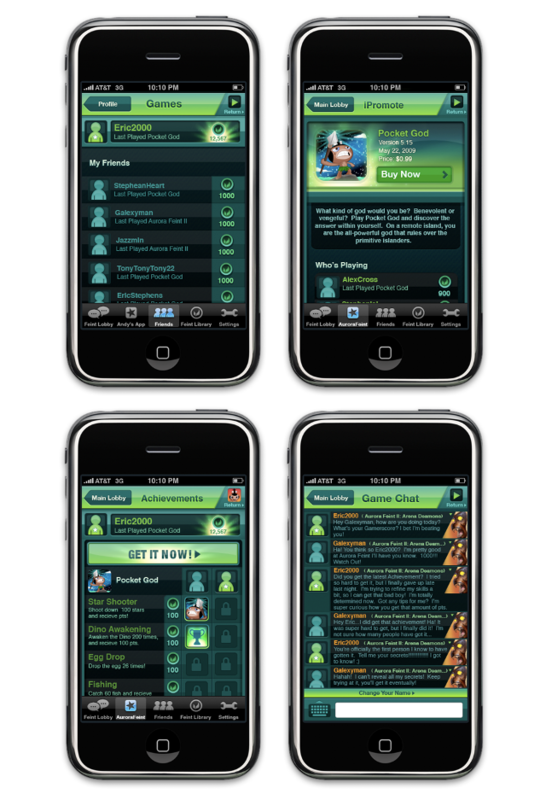 Aurora Feint started out as a puzzle game developer for the iPhone platform but has since evolved into the maker of a comprehensive social gaming platform dubbed OpenFeint that continues to attract independent iPhone game developers to join its rapidly growing community. Tomorrow, the startup is set to announce the roll-out of the second iteration of the platform, conveniently baptized OpenFeint 2.0, at a San Francisco meetup scheduled in the aftermath of Apple’s WWDC event. We got an early look at the completely revamped OpenFeint 2.0 and learned that over 100 games available on the App Store already make use of the social features baked into the system, including several familiar titles like MyBrute, Stick Wars, Knights On Rush, iDracula, Epic Pet Wars and Ankagua 3D. In total, that translates to about 3 million individual iPhone users, according to Aurora Feint, who can be brought into a “social discovery network” that connects the device, Facebook, and Twitter with the ability to ask the one question that the whole system builds upon: “What are your friends playing?”. This question can be asked inside a game, in an OpenFeint Game Lobby (a kind of virtual chat room / message board tied to a game or shared globally across multiple games), or on Facebook by clicking on a newsfeed item and launching the OpenFeint 2.0: Social Discovery application on the social networking service. OpenFeint 2.0 expands upon the social foundations that already existing in the previous version, with additional support for importing friend lists from Facebook and Twitter, sending actionable notifications to both networks, 100 XBox Live style achievements per game, social player profiles, friend leaderboards, social One Touch iPromote pages including a list of all a player’s friends who are already playing the game and so on. On another note: Netanel Jacobsson, until recently an executive at Facebook, has recently joined the startup’s advisory board.